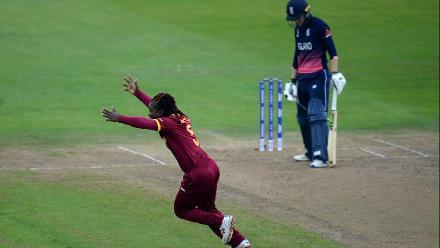 Choosing to bat at Sir Vivian Richards Stadium in Antigua on Saturday, 24 November, England began promisingly with 12 runs in the first over. But that remained their best of the innings. Elyse Villani held on to a skyer to extend Tammy Beaumont's disappointing tournament, and Georgia Wareham's rocket throw from mid-on caught Amy Jones short of her crease at the non-striker's end. 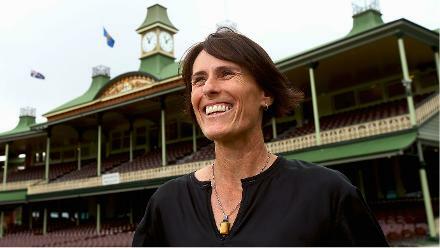 But for those, Australia were unusually sloppy on the field, the nerves and dew causing dropped catches and misfields. Danni Wyatt, who started by launching Sophie Molineux over the long-off boundary for a four and a six, survived chances of varying difficultly at 11, 12 and 34, to finally fall on 43 off 37 balls. However, no other batter, apart from captain Heather Knight, got to double figures. 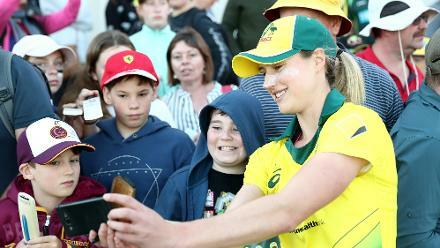 Ellyse Perry had Nat Sciver as her 100th wicket, Wareham took two in two balls, and Ashleigh Gardner finished with three wickets as England pushed their total to three figures before folding for 105 in 19.4 overs. 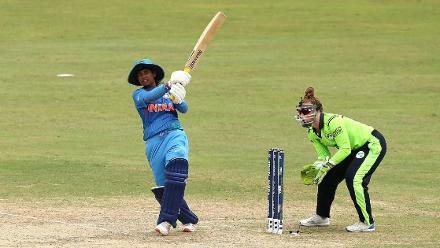 Alyssa Healy took the attack to Anya Shrubsole in the second over, punishing her for bowling short. Sophie Ecclestone had the in-form batter of the tournament bowled with a beauty and Danielle Hazell sent back Beth Mooney to add some pressure, but England were allowed nothing else. 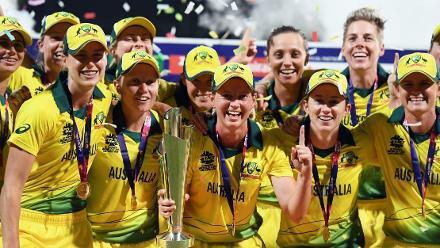 Gardner, who began slowly, punched three sixes, and in the company of her captain Meg Lanning, knocked off the winning runs to finally ease the nerves in the dugout. 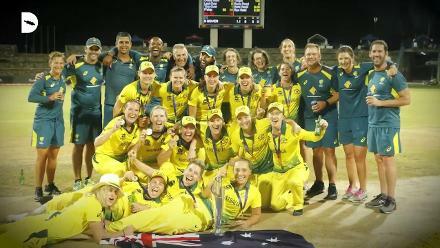 Australia, the No.1 side on the MRF Tyres ICC Women's T20I Team Rankings, thus regained the title they lost last time, and made their fifth straight appearance in the final a successful one. 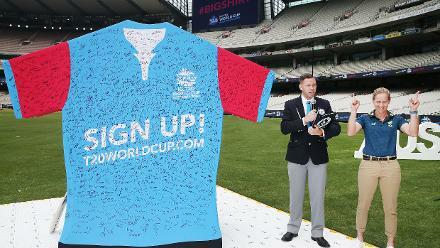 Gardner was named Player of the Final, while Healy was chosen Player of the Tournament.